October 2, 2015. RU is a faith-based, Christ-centered program to help people overcome addictions and stubborn habits. Everyone is welcome to attend. The RU director for the Sauk Prairie chapter is Dave Marsden. He may be reached at 608-448-9515. You may email Dave at rudirectorsaukprairie@gmail.com. RU tired of hearing the “war stories” of people who have no real freedom in their life? If so, try RU! Every week, our students share how God has changed their lives through real-life, relevant stories. This weekly forty minutes of encouraging testimonies will get your weekend started off just right. RU tired of talking about problems and doing nothing about them? If so, try RU! Every RU class ends with a 30-minute teaching lesson that will expose valuable Bible principles that are integral to your recovery process. RU tired of being told what is right and not being given the tools to determine what is right? If so, try RU! We have one of the best comprehensive discipleship curriculum in America. It is one of the best selling, too! Thousands of people have used our curriculum to learn the Truth about addictions and Christian apathy. RU tired of trying to find the stamina to do the right thing in the face of mounting adversity? If so, try RU! We will not only encourage you and help you to do the right thing, but we will also motivate you to do so. Though an award system is just a small way of doing this, it is evidence of a program that believes in acknowledging accomplishment and rewarding participation. RU tired of having to get advice from people who know little about your struggles? RU tired of having to pay hourly fees to hear yourself talk? If so, try RU! We offer free group and individual spiritual counseling on a wide variety of topics from addiction, to marriage, finances, family, and many other areas. You will have a leader, a helper, a director, and even the pastor available as your own personal counselors during times of urgent need. RU tired of attending programs where the leaders and volunteer workers have the same problems as you? If so, try RU! Our leaders have been made free from the power of sin and can openly speak about it. They do not seek anonymity. They earnestly proclaim that Jesus is the reason for their freedom, and they have been well trained to use our program and its tools to get that salvation message to you and to those whom you love. RU tired of trying to find someone to help you with your child’s issues while you are still trying to deal with your many issues in life? If so, try RU! We will not only care for your children while you attend your class, but we will entertain, teach, and develop your children. We want them to avoid the same pitfalls that ensnared many of us. They will enjoy games, prizes, snacks, play time, awards, great teaching, and many other things. 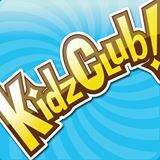 Our “Kids Victorious” (previously Kidz Club) is the weekly highlight of every child that attends. RU tired of programs that will not care for your little ones? If so, try RU! Those programs say “come as you are.” But you “are” a family; you should be able to come “as a family.” If churches can offer free nurseries, then why can’t an addiction program? Our clean nurseries are well staffed by volunteers of the hosting church. These volunteers have been screened and trained; and they will love your children because they love children! RU tired of trying to find a ride to places that are wanting to and waiting to help you? If so, try RU! We want to pick you up and will do so for almost every one of our weekly meetings, if necessary. Though some exceptions may apply, our trained drivers are here for those of you who may be without a car or license. No questions will be asked, except your address, of course! RU tired of being alone absent of any good friends with whom you could fellowship? If so, try RU! RU offers its own “Happy Hour” fellowship time at the conclusion of Friday meetings. As well, our Sunday and mid-week meetings usually offer multiple opportunities to fellowship with your fellow students and leaders. Fellowship is “R” specialty, what about “U”? Then join RU! Visitors, the RU Happy Hour is an optional part of our Friday night class. Refreshments and food are usually served on Fridays, and served well. RU tired of trying to find residential treatment that is effective and affordable? If so, try RU!We operate a beautiful 100-bed facility for men and a gorgeous 40-bed facility for women at our headquarters in Rockford, Illinois. This program boasts an over 90% success rate among its graduates. We are also aware of many RU type transitional homes that may be available for your use. Please visit www.ruhomes.org to learn more information about our homes and to download an application. RU tired of not being able to find a meeting when you need one? If so, try RU! We offer two to three meetings every weekend and even some during the week. Plus, we offer many activities and service opportunities for our students. Please see your RU director to find the times and days of our meetings and the hosting church’s service times. “I am here to tell you that I am not tired any more. However, if it was not for my church, I would either be dead or a dying drug addict today!” I believe, as does your hosting church’s pastor, that the local church is God’s support group. It is designed by God to meet the spiritual needs of all people. When the spiritual needs of people are met, then other needs fall in line and become easier to manage. As a program, we strongly encourage you to visit the church that hosts this meeting for addicted people, for something must be different about this church if they are so willing to have this program for you. Why aren’t others? What happens on Friday Nights? FIRST TALK, we talk to God in prayer. Each student is given an opportunity to share a need or a prayer request. The Assistant Director leads the congregation in prayer. The requests are typed out and presented to the students the following week. SECOND TALK, we talk to each other. We do this in two ways. Reformers Unanimous gives students an opportunity to share how God has changed their lives. We hear stories of recovery through God’s miraculous, saving grace. We hear of days, weeks, months, and years of victory. Secondly, we break down into small support groups to share each of our burdens or blessings. Each group is led by a counsel leader. If anyone needs personal counsel, it is made available. Students go over their completed challenges during this time and encourage each other in their road to recovery. THIRD TALK, God talks to us through the preaching of God’s Word. Our director is trained in how to present the messages in convicting yet caring ways, which are intended to encourage the students toward program participation. A hearer that is a doer is always an overcomer. Click here to go to Calvary Baptist Church of Sauk City website.